In recent years, the state of Missouri has embarked on an aggressive tourism campaign, designed to attract visitors from surrounding areas. Some of those visitors may even be from other galaxies. 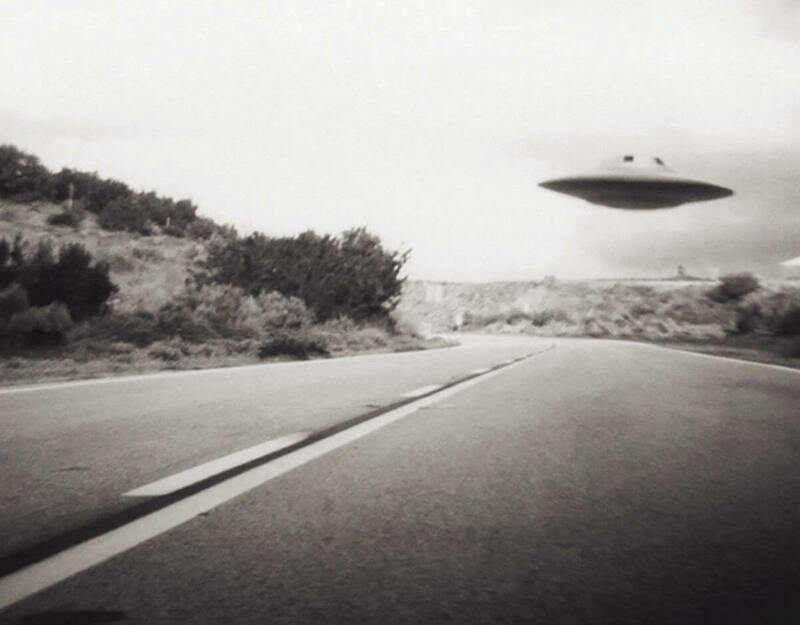 Since 1950, Missouri is fourteenth in the highest number of sightings of unidentified flying objects (UFOs), with 2,114 reports to the National UFO Reporting Center. Among the eight states bordering Missouri, only Illinois has more. The statistics were revealed in the most extensive release of government UFO files to date. In January 2015, some 136,000 pages of declassified records from Project Blue Book, the renowned Air Force investigation of UFOs, were placed online. More than ever, Americans are convinced that aliens visit Earth. In 2012, a National Geographic survey revealed that 36 percent of Americans believe in UFOs, with only 17 percent disputing such a notion. The rest – a whopping 47 percent – was undecided. Some eighty percent of those surveyed think the U.S. government has concealed information on UFOs from the public. The following year, a Huffington Post survey found that 48 percent of American adults were “open to the idea that alien spacecraft are observing our planet,” with 35 percent disagreeing. Men and women were nearly equal in percentage of believers, though political preference apparently influences UFO support. The Huffington survey found that 58 percent of Democrats call themselves believers, compared to 37 percent of Republicans and 47 percent of independents. Missouri’s high ranking may be attributed to several factors, including relative population. Of the leading ten states for UFO reports, eight are in the top ten in population. California, for instance, leads the nation in population with 38.3 million residents, and its 12,658 UFO reports are over twice the number of the next-highest state. Water may also be a factor. UFO reports tend to be clustered around large bodies of water, a trait shared by nine of the top ten states for sightings. With the Lake of the Ozarks, Table Rock Lake, and the Mississippi River, Missouri has plenty to attract cosmic visitors looking for a scenic vista or a cool drink. Perhaps otherworldly visitors to Perry County want to see what’s happening at the Perry Park Center. Or to check out the latest Cruise In. Maybe they were passing through on their way to nearby towns. On June 21, 2014, a slow-moving orange light was reported across the sky over Fredericktown, where a “blinking white light” that “traveled a short distance, (then) disappeared” was also reported on May 2, 2015. At least two recent UFO reports in neighboring Illinois have garnered national attention. In the early morning hours of Jan. 5, 2000, a string of local policemen on night patrol in neighboring towns reported a well-lit triangular object flying quietly at low altitudes over such locations as Highland, Lebanon, Dupo, Millstadt, and O’Fallon. Dubbed the “St. Clair Triangle,” the sighting has been the subject of national television features and multiple investigations by UFO enthusiasts. On Nov. 7, 2006, mass reports of a lighted, saucer-like phenomena over a concourse of the United Airlines terminal at O’Hare Airport in Chicago set the Windy City abuzz. The alleged craft hovered for several minutes before racing into the sky and leaving what appeared to be a hole in the clouds. Commercial and military pilots sometimes report strange lights in their airspace, though, as are sightings on the ground, the extraterrestrial possibility of these objects is hotly debated. Interest in UFOs revives every few years, sometimes with reported sightings. The spike in the post-war era started with reports of alleged UFO wreckage near Roswell, N.M. in 1947. However, Roswell was hardly the first alleged UFO incident, as some researchers argue that strange phenomena in the skies is reported in the Bible. In 1896 and 1897, there was a spate of UFO sightings across the nation, usually of cigar-shaped lighted objects in the sky. On April 17, 1897, reports surfaced of an extraterrestrial vehicle crash near Aurora, Tex., which allegedly resulted in one alien casualty. Closer to home, three men claimed to have seen a cigar-shaped object with some sort of canopy top and oars that landed in a field near the tiny town of Nilwood, Ill., 30 miles south of Springfield, a mere two days before the Aurora crash. Whether or not the incidents are connected is not clear. Despite the debate, Hollywood has made billions on the fantasy of space travel and the encounters that follow. The never-ending Star Wars releases are among the most profitable films of all time, while television favorites like Star Trek have legions of fans.